First, just a note. Our blog was recently redone. We hope you enjoy it! We hope to provide a place where people can find information on not only health and dieting but a community of people who can gain knowledge from each others experiences and provide ongoing support. Have you ever heard of the food pyramid? Of course you have! It has been touted as being the best guide to nutrition in the USA since the 60’s. So why is it that now, experts are saying they had it ALL wrong? Well let’s start out with some background. In that era, the dangers of smoking cigarettes were just coming to light. In fact, a detailed study published by the surgeon general on the side effects of smoking became so successful that the USDA developed the guide to nutrition by simplifying dietary needs with the food pyramid. The larger bottom of the pyramid that included things like bread and pasta gave the impression that eating more of those foods were healthier. However, they did not go into detail on the difference between simple and complex carbs. In addition, they added fats to the top of the pyramid, insinuating that all fats were bad. This backfired bigtime! People started buying low fat foods and it became a multi billion dollar industry. Low fat foods often substituted fats with sugar which in turn ended up causing obesity and diabetes in many people. For many years, the food pyramid has been a trusted guide for diet and nutrition. So many people trusted it for so many years. It was taught all across the USA, in schools, and throughout the pro-health community. When people become confused on who to trust or where to find information, they can begin to instead rely on unreliable sources, or even resort to unhealthy diets instead. Others may simply give up on any information which results in indecision. If you feel confused on the whole dieting issue, let us know, we would love to hear from you. What have been your struggles? How have you been successful? Do you trust the main stream science or are you skeptical? Chances are, many of us have had similar questions and experiences that we can learn and grow from. In fact, one of the best resources we have, is community. In today’s technologically driven world we can connect with people from around the world. This gives us a huge advantage from years past where nobody had any way to communicate beyond neighbors and local members of the community. We can compare and analyze the experiences of people from not only across the country, but around the world! Raspberry ketone is one of the most popular nutritional supplements on the market right now. The reason is obvious: it is a proven fat buster, among a number of other positive effects when taken as a supplement. It is the perfect hybrid of Mother Nature and science. 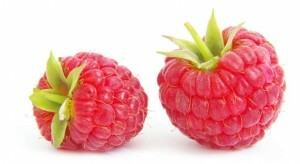 Naturally, to get enough of the chemical for a daily dose, one would have to eat an estimated 90 pounds of raspberries. However, with the help of science, it is an effective supplement. Raspberry ketone works to fight fat in a number of ways. One of the responses the body has to doses of the substance is a sensation of feeling fuller more quickly. When one feels full with less food, it results in an obviously lower overall calorie intake which can help with weight loss. The reason that you feel full is because the substance naturally contains a high amount of dietary fiber. In addition to the added sensation of being full, fiber is also known to have digestive benefits, such as keeping the body regular, which maintains good health overall. Since it is derived naturally from raspberries, the chemical contains a high amount of natural sugars. This delivers a relatively healthy and small spike in blood sugar to the body that is known to help reduce cravings for unhealthy, high calorie food. This prevents you from making a bad decision in terms of what you choose to eat. While both of these effects are good, the main assault on fat comes from the fact that the substance helps the body burn fat faster. All of these things help your body fight fat and keep you healthy, which is why the raspberry chemical is becoming so popular as a supplement. As to be expected, it isn’t simply pop a couple pills in your mouth and you will magically shed pounds. However, when raspberry ketone is sensibly included in a healthy diet, high in fiber and low in saturated, high-calorie fats. This increases the effectiveness of the substance. In addition, regular exercise increases the body’s ability to fight fat and only makes the supplements you are taking more effective. If you want to incorporate the substance into your regular routine, it is recommended that one takes 100 mgs of quality raspberry ketone every day. When used with an already healthy diet, the substance becomes like a superfood that will help you fight fat and stay energized. This blog is to inform and educate our visitors on trending health supplements, diets, and lifestyle.